Comment: Approx 1500 sq ft home. Some inconsistent blown insulation. Heating and cooling units are in attic. 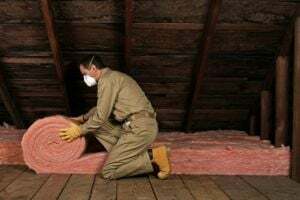 Want to increase blown in insulation to reduce energy use. Comment: I'd like to add to existing (old blown-in) insulation to bring it up to recommended R level. The existing insulation doesn't have any other problems (no rodents, no water damage). The house was built in 1921, about 1200 square ft. Comment: Would like to get the cottage cheese ceiling scraped off and maybe put soundproofing squares or panels or something. Just living room/dining area. Comment: Hired a company to install hardwood flooring with "sound insulating" subfloor but Tenant below can hear every single footstep. Need a professional to conduct a sound test to see if there is an issue with the materials used and provide opinion as to what kind of materials should be used. Looking to schedule a walk through on MONDAY 04/22. Comment: Remove and dispose of 18 inches of clean dirt from a house crawlspace (approximately 1200 square feet). House will have access from 3 entry points. Comment: I want to do insulation for my roof and maybe sides of the wall, about 600 sq ft.
Los Angeles Insulation Contractors are rated 4.84 out of 5 based on 871 reviews of 13 pros. Not Looking for Insulation Contractors in Los Angeles, CA?